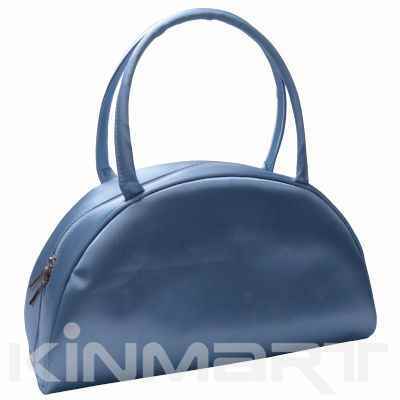 Description : Want to bulk personalize cosmetic handbag by imprint or embroidery your corporate logo, brands? It's always easy at Kinmart manufacturing factory in CHINA. Click Personalize A LOGO to create, upload your logo; or click Custom Bag More to personalize its Main Fabrics; Lining, Zipper, Pull etc. If you need a sample before placing Bulk Order, then start a Sample Order first - we merely charge small Cost for Sampling + Mold Setup Cost (if any) + Courier shipping Cost. Then it takes another 5-7 working days for shipping to you by Courier. For sake of personalization logo being in line with your requirement, we normally send the designed drawing with logo location, size, color for client's approval before proceeding sampling. Such cosmetic bag is much welcomed by Cosmetic Companies to use a Promotional Cosmetic Bags, Corporate give-away gifts, or gift bags for Events. If you need to Custom Order bulk quantity like tens of thousands pieces, then contact us by email.